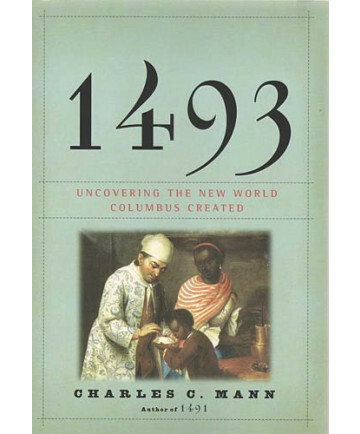 1493- Uncovering the New World Columbus Created by Charles C. Mann "Voltaire would have loved Charles C. Mann’s outstanding new book, 1493. In more than 500 lively pages, it not only explains the chain of events that produced those candied fruits, nuts and gardens, but also weaves their stories together into a convincing explanation of why our world is the way it is . . . Mann has managed the difficult trick of telling a complicated story in engaging and clear prose while refusing to reduce its ambiguities to slogans. He is not a professional historian, but most professionals could learn a lot from the deft way he does this . . . Most impressive of all, he manages to turn plants, germs, insects and excrement into the lead actors in his drama while still parading before us an unforgettable cast of human characters. He makes even the most unpromising-sounding subjects fascinating. I, for one, will never look at a piece of rubber in quite the same way now . . . The Columbian Exchange has shaped everything about the modern world. It brought us the plants we tend in our gardens and the pests that eat them. And as it accelerates in the 21st century, it may take both away again. 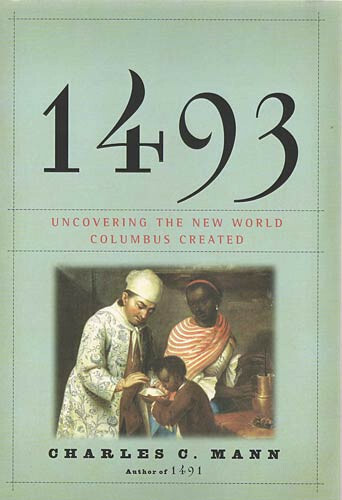 If you want to understand why, read 1493."